Sick of swiping? Popular dating app Coffee Meets Bagel is making dating fun again by hosting Asia’s largest speed dating running event just ahead of Valentine’s Day – singles, there’s still a chance! Ditch the smartphone, dig out your snazziest sportswear and form a love connection while you attractively sweat and pant throughout the epic run. 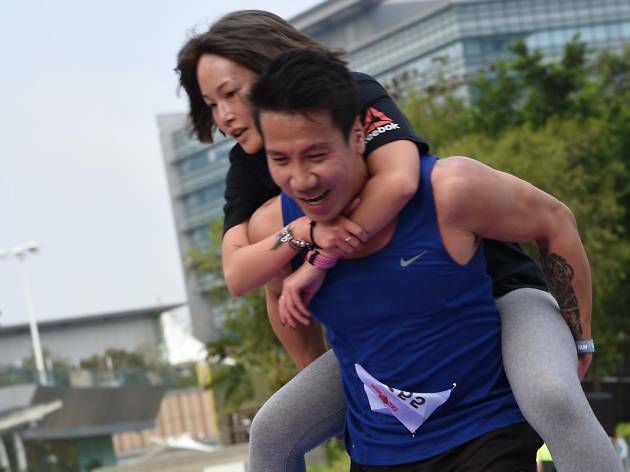 There are three stages of hurdles in the race: couples have to run with the wrists strapped together, run with one person blindfolded and to have one runner carrying the other through a cobblestone path. Get ready to watch sparks fly!